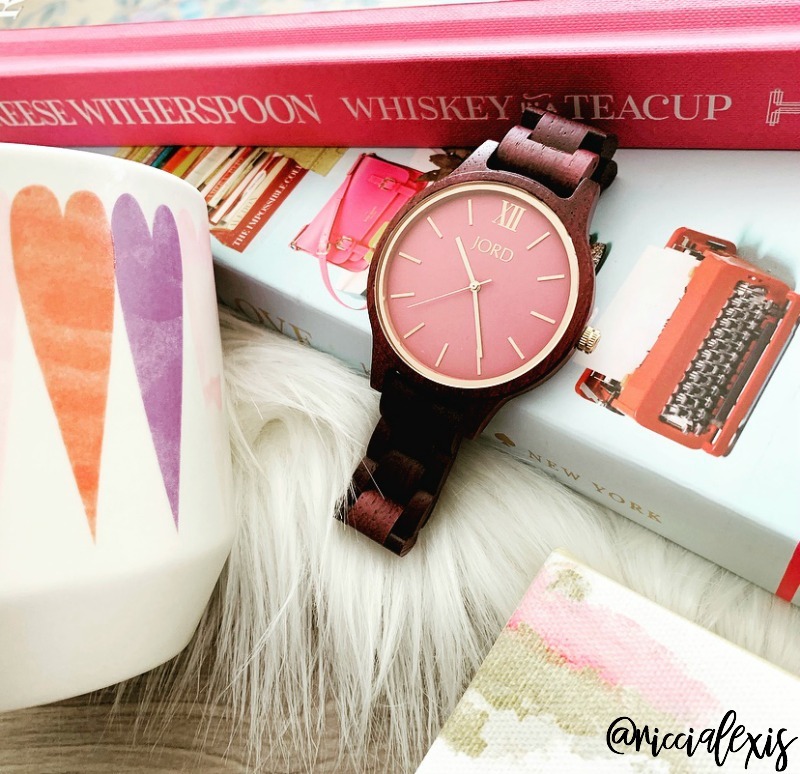 Why a JORD Wood Watch is the Perfect Gift for your Valentine! This is a sponsored post written by me on behalf of JORD. While I was compensated for this post, all thoughts and opinions are my own. Happy last day of January! It really is the longest month of the year…am I right?? The only thing I like about January right now is that it’s almost over. Why? Because February is my favorite month ever!! Not only is it my birthday month but it’s also Valentine’s Day!! Not that I have a Valentine but I am obsessed with all things pink, red and hearts so it’s one of my favorite holidays to decorate for other than fall of course. While we are on the subject of birthdays and Valentine’s Day, can we talk about how hard gift giving is the older a person gets? I used to be a really great gift giver but now I feel like now that the majority of my friends and family members are able to buy what they want, when they want and that makes finding the perfect gift that much harder. Know what I mean? So what do you get the person that has everything? Something personalized! I, for one, love a personalized gift. Something that shows how much someone cares and that they actually put some thought into the gift. Also something unique. Something that means something. You feel me? I was recently gifted this luxury hand-crafted all-natural wooden watch from the amazingly wonderful people at JORD and it fits all of the things I would want in a gift. It’s pink, my favorite color, it’s unique (a wooden watch?? YES please! ), and it can be engraved with a message on the back making it a super personal gift to give! A few other unique qualities of this watch are that it can be sized to each person and comes with extra links so you can adjust it if it needs it! You can also buy different bands to go with the face for a completely different look. You can also dress this watch up or down and it fits any occasion. It’s a classic timepiece that will be the center attention on your wrist for many years to come. 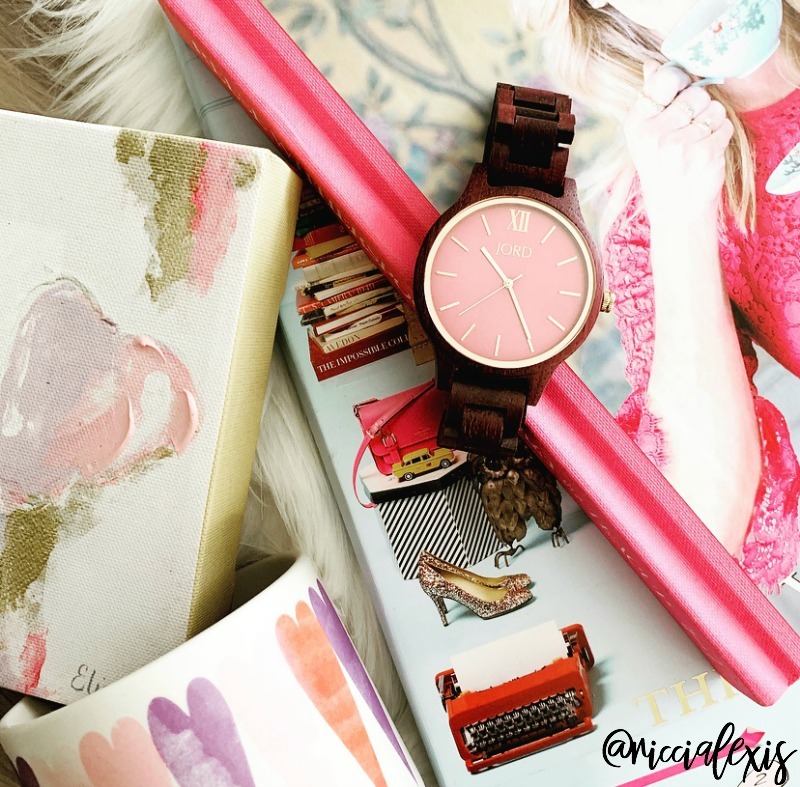 What can I say, I’m obsessed with my PINK JORD wooden watch!! 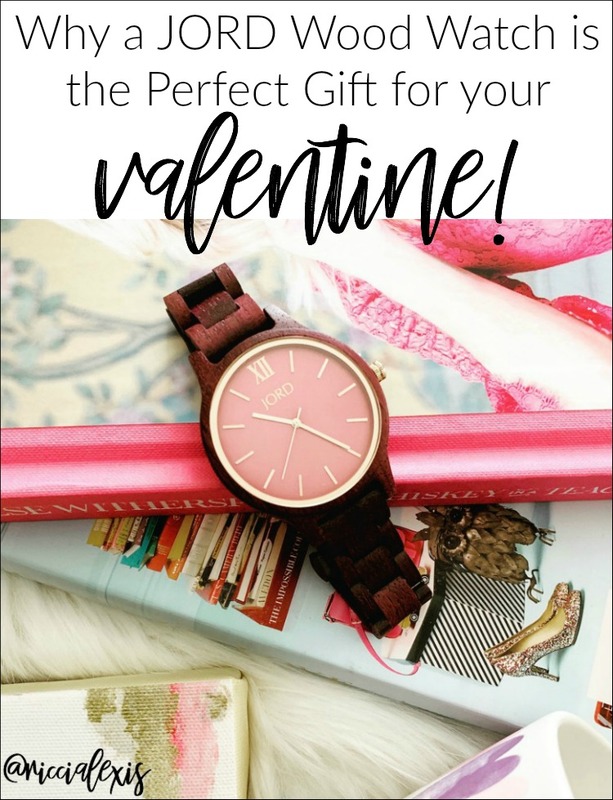 If you are still searching for the perfect gift for your Valentine then you have to check out JORD wood watches! They offer free shipping on every purchase and each watch comes with a one year warranty and options for returns and exchanges. And here’s the FUN part!! 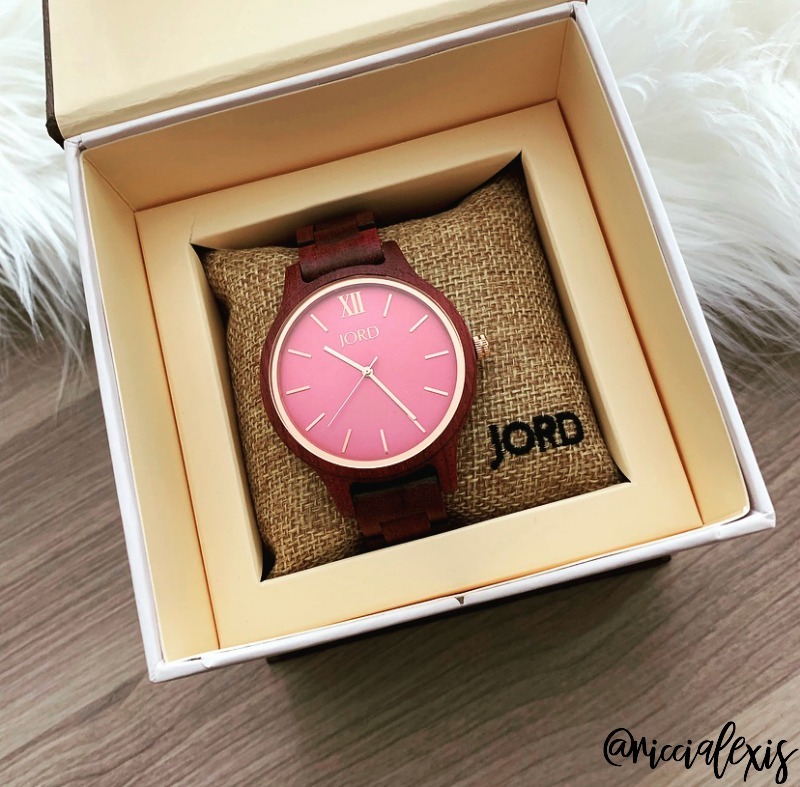 If you would like the chance to WIN $100 off a JORD Wooden Watch then ENTER HERE for your chance to WIN!!! Each person who enters will automatically receive a code for 10% off the purchase of a JORD wood watch. Have you ever purchased a JORD wood watch?? What is your go-to gift for the person who has everything?? You’re welcome! I love the clean lines of the watch! I’ve seen Jord watches a lot on Instagram. Love the big face and the wood strap! Me too! The big face with clean lines is my FAVE! I have two of these watches and love them. They are gorgeous! I always get complimented when I wear them out. SAME!! I got so many compliments and questions when I wore it out the other day! Oh, you make that Jord watch look so pretty. Great professional photos are the best. My husband has one of these is it is probably his favorite watch! Whenever we have to dress up to go somewhere he wears that watch because he says it is his dress watch. I love that you can dress it up and down!! I’ve seen these before and love that they are so unique. I’m a lover of all things wood, too, so that adds to the allure for me. I love a pink watch, my favorite too. I would love to get one of these and my husband should read this to get some great gift ideas. 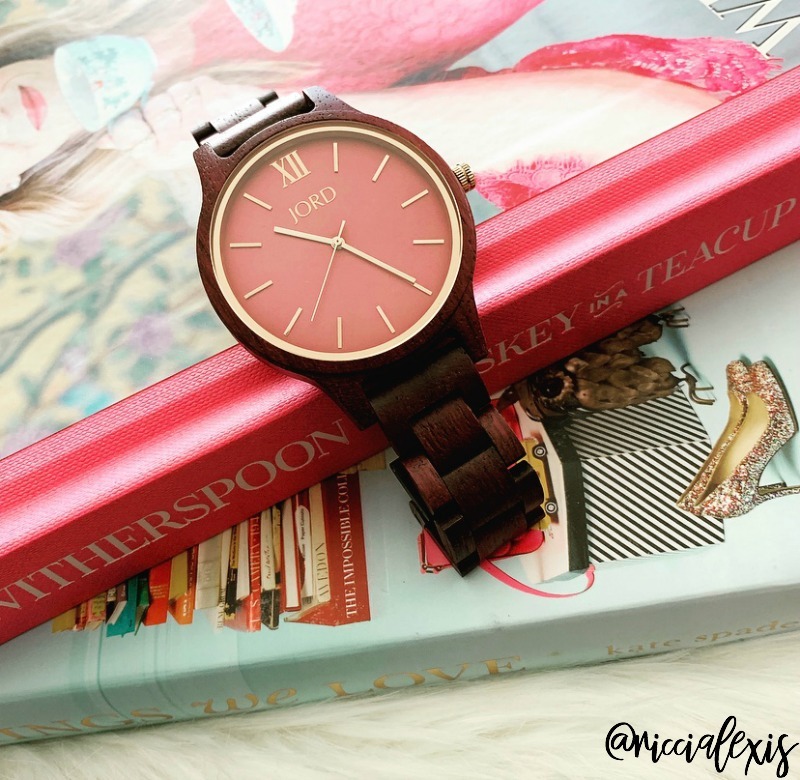 Jord watches are beautiful aren’t they – there is something so different about the idea of having a wooden watch. I love the idea of giving one for Valentine’s. They ship super quick so it would be the perfect gift!! Your watch is beautiful. Love the wood details. I have to add this to my Valentine’s Day wish list. Thank you! I love it too!! YAY!! It is a seriously gorgeous watch!! I love JORD watches and can tell you they make the perfect gift for HIM as well! I LOVE the men’s watches! They are gorgeous! The pink watch face is so pretty! I have a Cassia Series Watch from JORD & I love it! They are so unique! I like the Cassia series, this one is the Frankie! That is one gorgeous watch. I love that it’s all natural and the pink face is life! I actually got a Jord watch for my husband for Valentine’s Day last year. He loved it! I love the guy’s JORD watches! They look so good!! 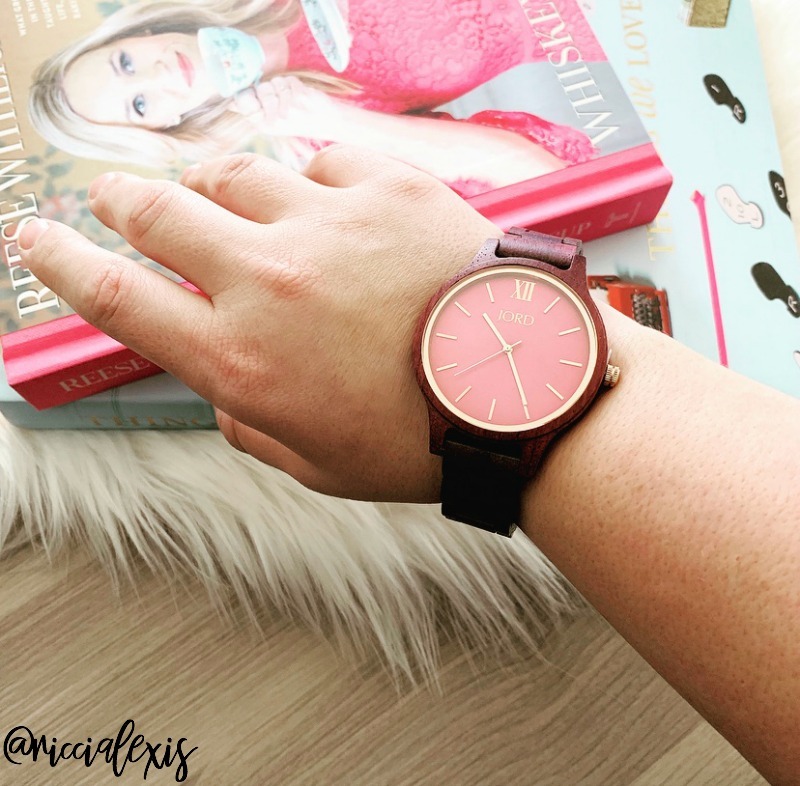 I think Jord watches are so stylish, and I love the way you photographed this one. It is a very pretty shade of pink and it looks good with the wood. Thank you! I love the contrast of the pink on the dark wood!! I love Jord watches. I haven’t seen the pink one before, but it is super cute on your wrist. 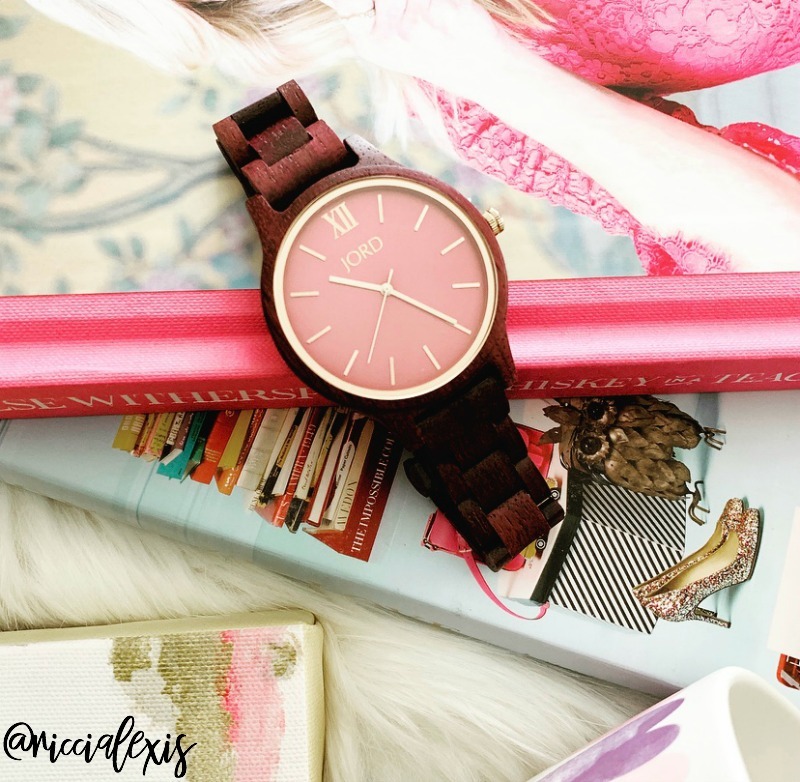 Pink is my fave color and I am obsessed with this watch!! Thanks!! I so love this style. I have been looking for something to give to my husband’s 50th birthday, this looks perfect. I entered and want to win! 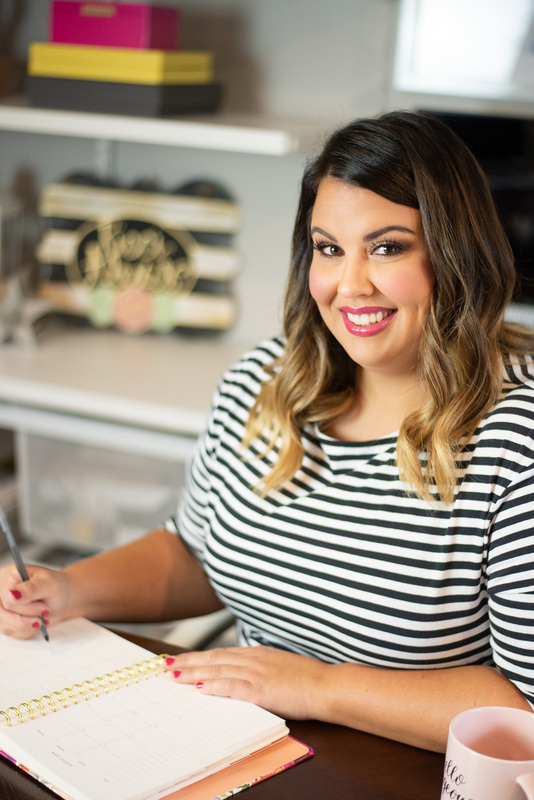 Your blog looks great Ricci! These watches are just gorgeous and so unique! I think the one here is definitely ideal for Valentine’s Day! The pink face is to die for!! I love the color of this watch. It reminds me of my aunt. She loves unique ones like this one.